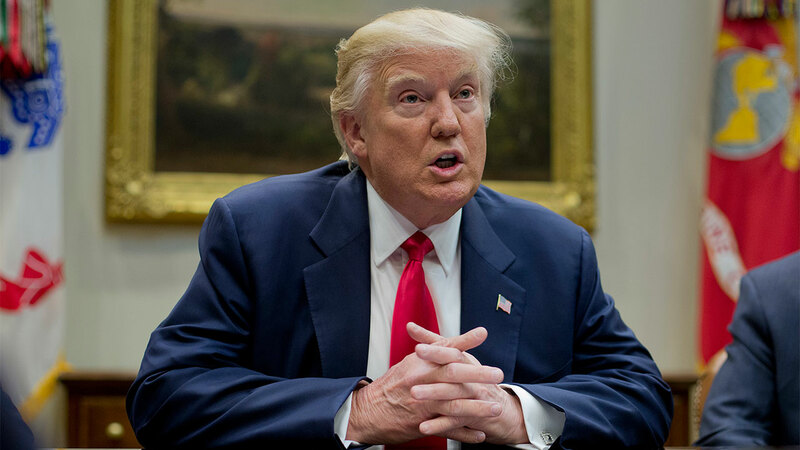 PALM BEACH, Fla. -- President Donald Trump on Saturday accused former President Barack Obama of having Trump Tower telephones "wire tapped" during last year's election, a claim that an Obama spokesman said was false. Obama spokesman Kevin Lewis said a "cardinal rule" of the Obama administration was that no White House official ever interfered in any Justice Department investigations, which are supposed to be conducted free of political influence. The White House did not immediately reply to inquiries about what prompted the president's tweets. Trump's opening tweet Saturday mentioned Sessions and claimed the first meeting Sessions had with the Russian diplomat was "set up by the Obama Administration under education program for 100 Ambs ..."
U.S. intelligence agencies have concluded that Russia interfered in the campaign with the goal of helping elect Trump over Democrat Hillary Clinton - findings that Trump has dismissed. The FBI has investigated Trump associates' ties to Russian officials. Congress is also investigating. It was unclear what prompted Trump's new charge. The president often tweets about reports he reads on blogs and conservative-leaning websites. The allegations may be related to anonymously sourced reports in British media and blogs, and on conservative-leaning U.S. websites, including Breitbart News. Those reports claimed that U.S. officials had obtained a warrant under the Foreign Intelligence Surveillance Act to review contacts between computers at a Russian bank and Trump's New York headquarters. The AP has not confirmed these contacts or the investigation into them. Steve Bannon, Trump's chief strategist in the White House, is a former executive chairman of Breitbart News. Obama could not order a FISA warrant. Obtaining one would require officials at the Justice Department to seek permission from the FISA court, which is shrouded in secrecy. Judges could order prosecutors to share FISA information with defendants if they deem it necessary for challenging a search's legality, but courts have consistently agreed with the government that disclosing the material could expose sensitive intelligence secrets. One exception to this practice is the president himself, who has the authority to declassify records. In Trump's case, he could confirm any such surveillance of his campaign or business undertaken before he took office in January. After tweeting Saturday about Obama, as well as about Arnold Schwarzenegger's decision to leave "The New Celebrity Apprentice," Trump went to his golf club in nearby West Palm Beach. Schwarzenegger replaced Trump as host of the show while the president remained its executive producer. Trump is also scheduled to have dinner Saturday with Commerce Secretary Wilbur Ross at Trump's estate, Mar-a-Lago.